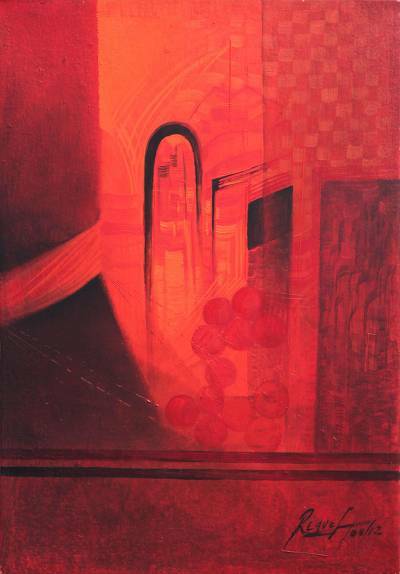 Cityscape Painting in Luminous Red, "Appearance in Red"
Crimson shadows envelop a glowing cityscape in old Peru. Working in oils, Teodoro Reque Liza suggests thick stone walls and arched windows where heavy doors offer a transition from the busy street to a quiet patio, from today's fast-paced life to a more gracious epoch. Titled "Apariencia en rojos" in Spanish.